Compromising on the right to choose will have disastrous consequences. Democrats need to acknowledge that fact. Democrats need to change the way they address abortion. 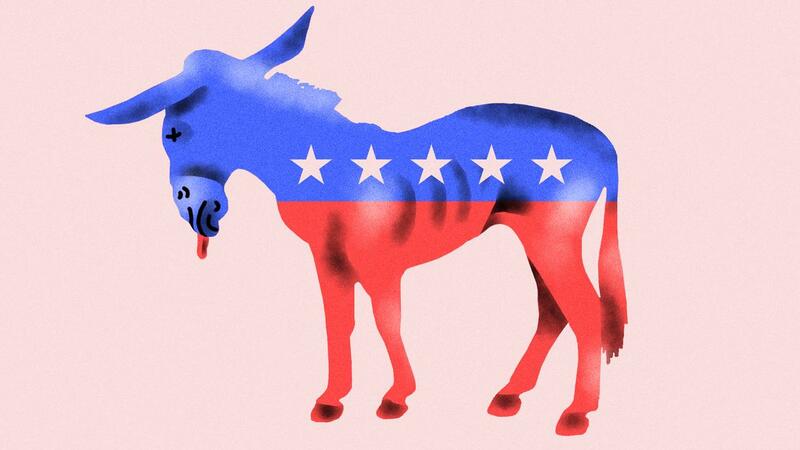 This idea has been persistently circulating since Trump’s inauguration, as the Democratic Party attempts to conceive of a way to recover from its humiliating defeat. In a slew of high-profile op-eds, anti-abortion Democrats have called for the party to soften its stance on reproductive rights in order to appeal to progressives who support state-sanctioned forced motherhood; party leadership has echoed this sentiment in a series of perplexing statements and interviews. In an emailed statement, DNC spokesperson Xochitl Hinojosa tepidly emphasized to Broadly that the Democratic Party platform is pro-choice. “Tom Perez has stated previously that he is pro-choice,” she added. “That has not changed.” But even if the platform remains the same, top Democrats have hardly been vociferous in their defense of reproductive rights. In May, most notably, House Minority Leader Nancy Pelosi told the Washington Post that abortion is “kind of fading as an issue” for Democratic voters. Unfortunately, abortion is not fading as an issue for conservative legislators. While the Democrats have been wringing their hands and assuring media that they don’t believe in ideological purity tests, the political arm of the anti-abortion movement has continued forging ahead with startling efficacy. In the past seven years, nearly 350restrictions on abortion access have been enacted. In the past few months, we’ve seen states passing particularly cruel and byzantine legislation: laws mandating that aborted or miscarried fetuses must be buried or cremated, laws that would require women to notify their rapists before getting an abortion, and laws that would essentially ban terminations after 13 weeks. Enabling a bipartisan attack on women’s right to healthcare in the name of party unity is only a viable solution if you’re fine with forcing people to bear children against their will. When pundits and politicians argue that Democrats should “compromise” on abortion or to rethink their approach to the subject, they tend to speak in vague absolutes. Abortion is “polarizing” and “divisive.” It “alienates” red-state voters. Framing it this way—as a fundamentally ideological debate, rather than one with tangible consequences—trivializes the real and pressing danger of restricting abortion access. Laws that limit abortion erode women’s constitutional right to access full healthcare, endanger them, and enshrine into law the idea that their basic bodily autonomy matters less than the belief that an embryo is sacrosanct. When women cannot safely and legally terminate their pregnancies, some resort to dangerous and illegal alternatives, like the estimated hundreds of thousands of women in Texas who’ve performed DIY procedures, or the women across the country who have risked arrest to self-induce an abortion. Those who are forced to carry to term against their will face dire consequences as well: Research shows that women who are denied abortion care are three times more likely to end up below the federal poverty level after two years, and less likely to be able to leave abusive partners. If politicians like Edwards are the future of the Democratic Party, it’s an extremely bleak one for women and families. As governor, Edwards signed into law a series of extremely draconian measures, making Louisiana one of just seven states to require women to wait three full days before getting an abortion and attempting to defund Planned Parenthood despite a massive STD epidemic in the state. Under Edwards, the number of clinics in the state dropped to three, down from seven in 2011. Enabling a bipartisan attack on women’s right to healthcare in the name of party unity is only a viable solution if you’re fine with forcing people to bear children against their will. If this is true of the Democratic Party, they can’t claim, as they currently do, to “unequivocally” believe “that every woman should have access to quality reproductive health care services, including safe and legal abortion—regardless of where she lives, how much money she makes, or how she is insured.” I agree that the Democrats need to change the way they address abortion. Instead of weakly and ineffectively gesturing towards reproductive justice as some kind of nebulous progressive ideal, they need to actually stand up for the women they represent and fight to protect their rights.